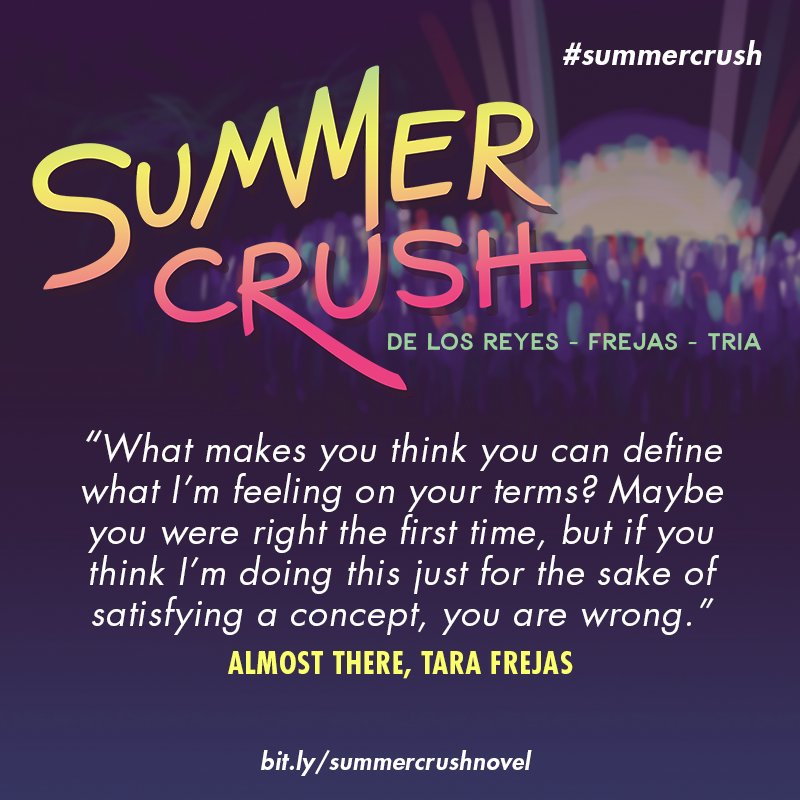 When life, love, and rock and roll come together on the sandy beaches of La Union for music festival Summer Crush, expect nothing less than the crashing of lips, bodies, and waves against the shore, against each other, and against your soul. Allow these three tales of love to take you away for an unforgettable weekend. 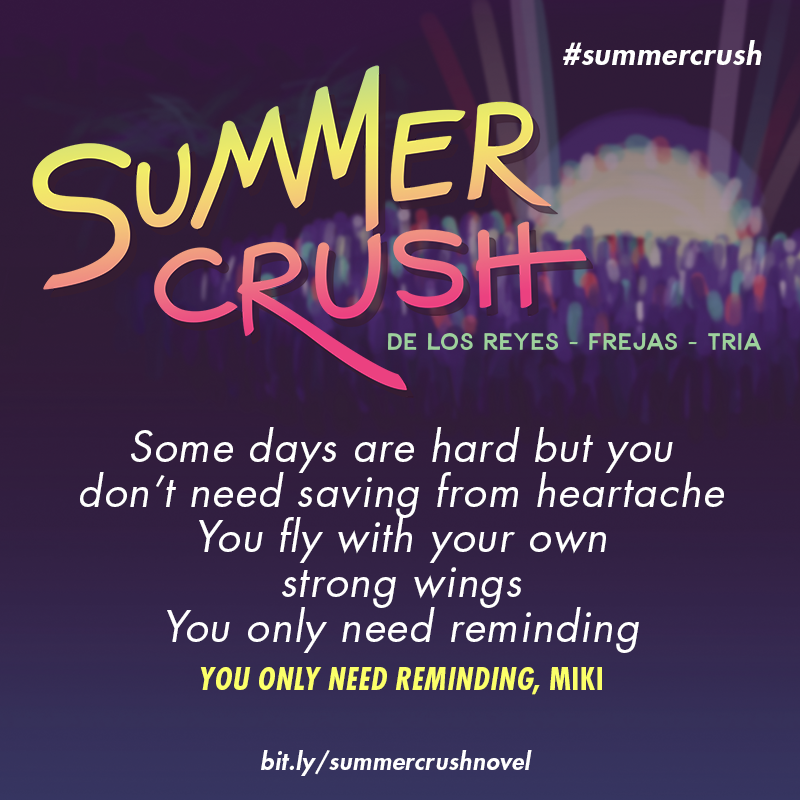 Because Summer Crush melds three fictional universes together, we recommend you read Songs to Get Over You by Jay E. Tria, Scandalized by Tara Frejas, and Just for the Record by Six de los Reyes for more information about the characters and their relationship dynamics. Do note that this is recommended, not required. 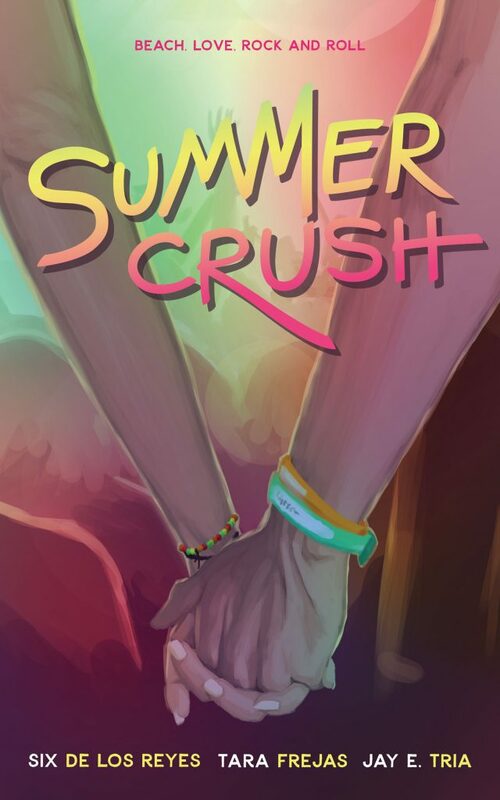 Summer Crush is a solid anthology. It’s a compilation of three short stories by Tara Frejas, Jay E. Tria and Six de los Reyes. I’m a fan of their respective novels, which definitely contributed why I devoured it. I’ve already re-read it a couple of times; this is a perfect read for fans of the authors. Though you can read the story as a standalone. You Only Need Reminding is the follow-up short story of Miki and Ana. I’m giving you an insight, they are my favorite characters and otp in Playlist series. The tone is quite different from Songs to Get Over You. You Only Need Reminding is somber and more intimate. It’s the sequel after all. And unlike in the book where Miki is the central character, Ana took the spotlight. We are introduced into her POV. We see her in her strongest and most vulnerable which is refreshing. This is also the part where we see Miki taking the initiative to pursue Ana. A huge contrast of what we’ve seen in Songs to Get Over You. My feelings are all over the place. I didn’t expected that. Overall: I really loved it. 10/10 I want more. Almost There is the follow-up short story of Scandalized. The first book is big on harm-warming family and friendship dynamics, this didn’t steer clear of that premise. We get to see the East Genesis Project along with Fi in the Philippines for a musical festival. There’s also a special appearance of Gabriel. This is a cute read with lyrical writing. This neatly wrapped up the unresolved tension. I also like that we get a preview about the main otp, Fi and Gabriel. It was quite tame, but I’ll take whatever I can get. I hope Frejas would consider writing more from this universe. 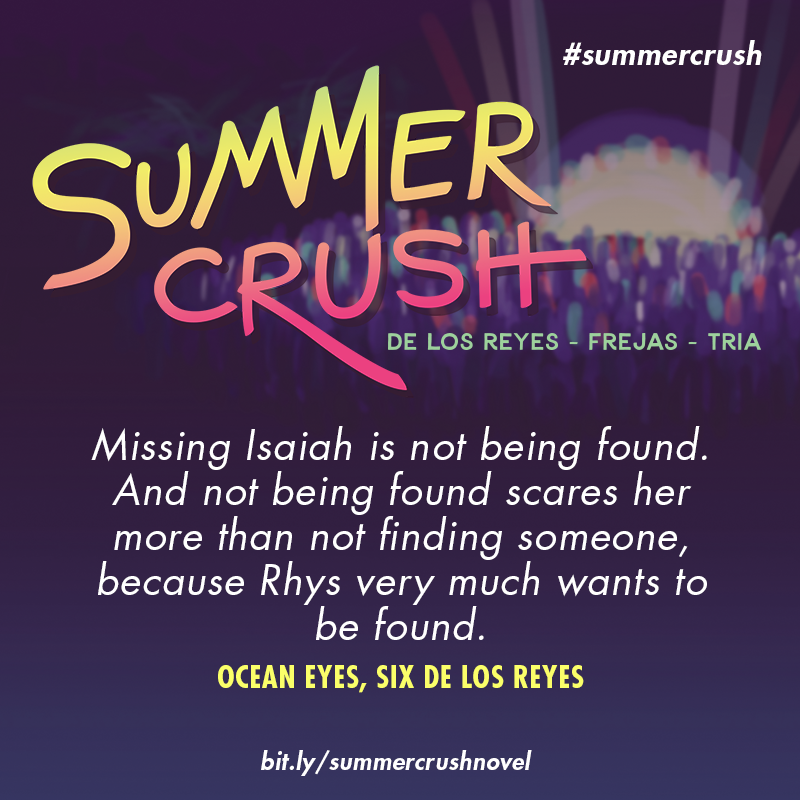 Ocean Eyes is the follow-up story of the Isaiah and Rhys from Just for the Record. The characters from Six’s other books like Beginner’s Guide and Feels Like Summer also made an appearance. For someone who ship the main otp and who has devoured all of Six’s books, this short story was a feast. The pending conclusion between Isaiah and Rhys was resolved, but there was certainly an open note to that ending. I love the rhythmic writing, romance, and friendship dynamics. I can’t recommend Six’s books enough. They’re always a punch in the gut. The icing on top of this anthology is that there’s a crossover between all of the authors’ characters. it was like a dream come true for the crew to gather. This anthology solidifies my love for each series. I loved it.